Situated 18 km from Sapa town. Giang Ta Chai sharing border with Ta Van village - It's making very special trekking route. Lao Chai - Ta Van - Giang Ta Chai. Giang Ta Chai village is home to the Red Dao who wear plain black trousers and a long black tunic with embroidered cuffs and lapels. How Giang Ta Chai village is unique? Trekking to Giang Ta Chai village. You will have chance to trek through terraced rice paddies, bamboo forest and stunning waterfalls. Red Zao minority people are the second biggest group of Ethnic minority in Sapa after Black Hmong People. Where you also have chance to see the people still wear very colorful traditional costumes. Visit Giang Ta Chai village, visitor also have chance to visit wonderful waterfall as well. Giang Ta Chai village in Sapa is one of the top 5 villages for most of Sapa Tours and trekking adventure vacation in Sapa, Vietnam. This village is truly offers travelers who interesting trekking paths through bamboo forest. Giang Ta Chai village also let travelers enjoy trekking through rice fields, crossing suspension bridge to the other side of the river and stream. From Giang Ta Chai village in Sa Pa, travelers also can choose take adventure trekking route up to the mountain of Su Pan Village. It would be a great idea for spend a night with local host. 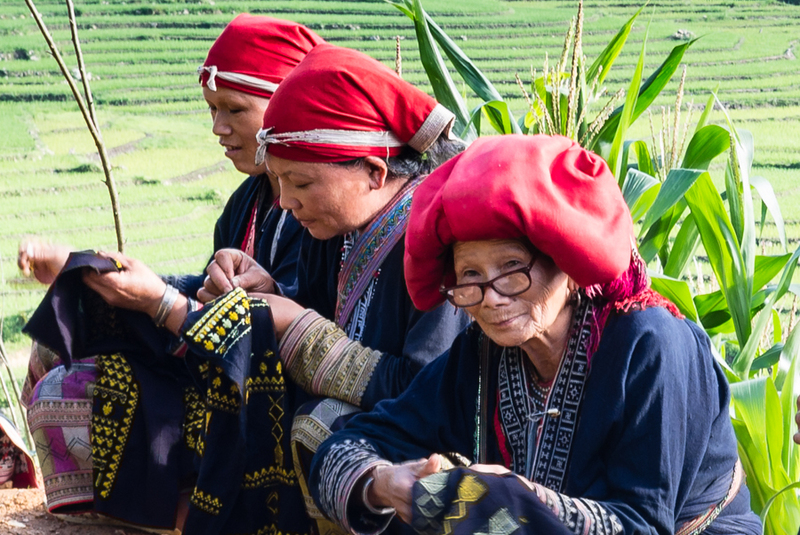 The people, atmosphere of the village will make your Vietnam personal tours to Sapa wonderful ever. Do not give money, candy or buy somethings for children. Do not put camera close to their face to take photo.